Just one week left to pay-what-you-want for $164 of visual novels, dating sims, and suggestive party games! Date a grasshopper, romance an island full of talking cats, travers the beautiful vistas of the American Southwest, and more – all while supporting the important work of Comic Book Legal Defense Fund and National Coalition Against Censorship! Check out the full bundle here! Part manga, part choose your own adventure, and part video game – visual novels are beautiful, well written, and for all levels of gamers (but not all ages). It doesn’t matter if you’re a long time fan, or a just curious about this style, this bundle is perfect for both. 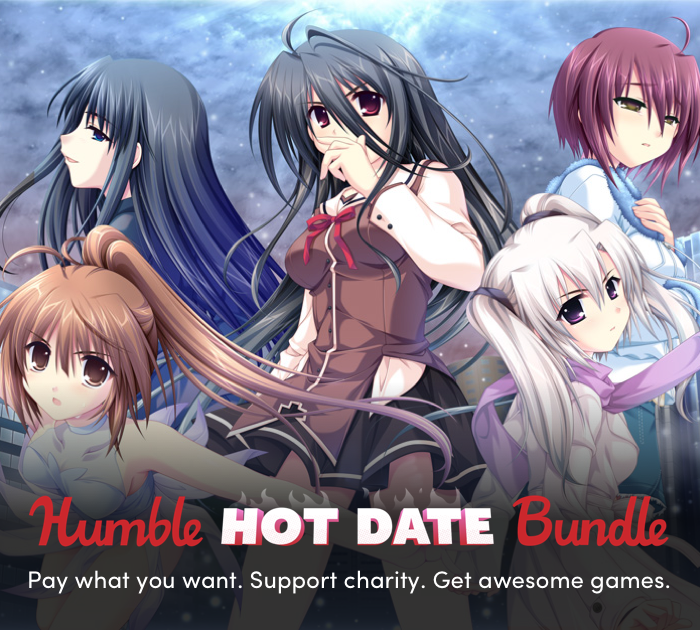 On top of visual novels, this bundle has hilarious dating sims with a dark sense of humor, and group party games that would be on theme for a raucous bachelor/ette party. These games would cost $164 if purchased separately, but with Humble Bundle, you can pay what you want! You’re in complete control. Starting at $1, get the games you want and support charities that are important to you! You decide how much of your money goes where. But hurry this bundle ends April 9th, 2019 at 11:00am Pacific. 10% off First Humble Monthly!